European companies are on track to save €500 million per year as 99% of EU-Canada tariffs are eliminated. It feels great to get a deal done, eh? Europe and Canada just signed a wide-ranging free trade agreement on Sunday, to make it easier and cheaper to conduct trans-Atlantic trade in goods and services. European officials say the deal, which eliminates 99% of tariffs, will ultimately save European companies €500 million ($548 million) per year. In simple terms, that means it will be cheaper and easier to export items like French wine and Italian parmesan cheese to Canadian consumers. But that's just the start. The deal, called CETA, also makes it easier for European companies to bid on Canadian government contracts, and vice versa. 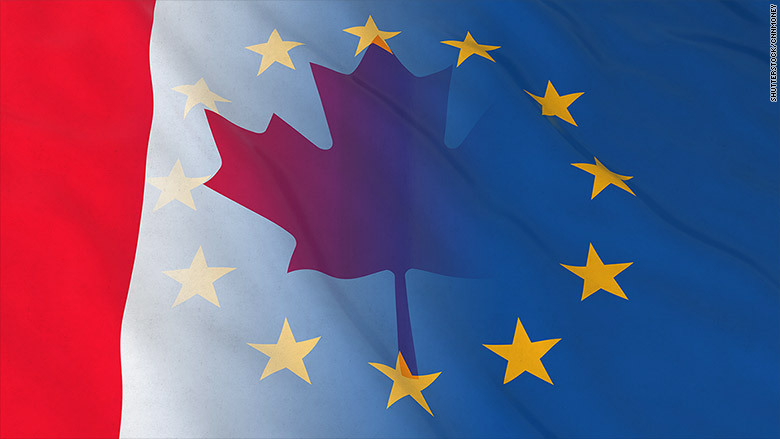 Europeans will get easier access to investments in Canada, and vice versa. And it will be easier for professionals like accountants, engineers and architects to offer their services between the two markets. Ian Mitchell, an economist at the Center for Global Development, said this trade deal is a good move for Europe and Canada. "The Canada deal is quite a deep and broad deal," he said. "As much as the mood music has turned against free trade deals, [CETA] lowers prices for consumers and often it lowers prices more for poorer consumers." Formal approvals from the European Parliament and individual European Union nations are expected to come starting in 2017, which would bring the agreement into full force. CETA -- which stands for Comprehensive Economic and Trade Agreement -- could also help lay the groundwork for a new free trade deal between the U.K. and Canada. 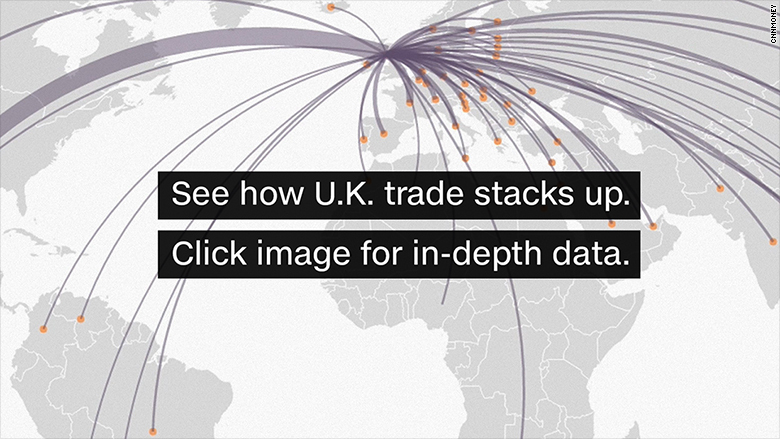 The two countries will have to create a new deal after the U.K. leaves the EU, which is expected in 2019, since Britain's departure will cancel out all its existing trade deals. CETA could be a template for a new agreement. Meanwhile, European officials warn that CETA's approval doesn't mean that a massive EU-U.S. trade deal will also get the green light. Europe and the U.S. have been trying to negotiate a deal called the Trans-Atlantic Trade and Investment Partnership, or TTIP, since June 2013. Supporters say the deal would create more than 1 million jobs. And the European Commission says it would be worth €545 euros ($597) to each European citizen every year. But more than 3 million Europeans have signed a petition to stop TTIP. Opponents say they are angry that TTIP talks are being held in secret -- which is not unusual for big trade agreements. European labor unions and lobby groups argue the deal will give too much power to big U.S. corporations, by making it easier for them to sue governments over laws they claim hurt their business.